José Menor was hailed as ‘one of the most outstanding Spanish pianists of the new generation’ after his Wigmore Hall solo recital debut: ‘superb recital (...) a performance of gripping power and evocative colouring’ (The Daily Telegraph, Geoffrey Norris). His 2009 debut with the Royal Philharmonic Orchestra (RPO) in London was highly acclaimed by the international press, on the celebration of Isaac Albeniz’s Anniversary with a performance of Concierto Fantástico, which has almost become José’s signature piece after giving premieres and performances on several countries. The Concierto also gives name to a documentary movie, broadcasted several times on the Spanish TV, featuring José’s performances of it on his 2010 Polish tour. José made his international debut at age fifteen, performing at New York’s Carnegie Hall as a First Prize winner of Cincinnati’s ‘The World Piano Competition’, which was followed by top prizes and awards at several different piano competitions (including YCAT in London or Viña del Mar in Chile). His 1996 debut at the Palau de la Música Catalana in Barcelona – after winning First Prize on the ‘El Primer Palau’ series - was the beginning of a continuous concert career as a soloist, appearing with major orchestras in Spain, together with orchestras in Europe, USA and Latin America. Highlights have included a TV-broadcasted performance of Rachmaninoff concerto no. 1 with the RTVE Orchestra and Alexander Markevich, and the premiere of Albéniz’s Concierto Fantástico in the whole American continent, with the ‘Orquesta Sinfónica de Xalapa’ in Mexico. Recent commitments included concerti with the Wuhan Philharmonic Orchestra in China; Landeskapelle Eisenach in Germany; ‘Joven Orquestra Nacional de Catalunya’, JONC (Barcelona, Spain); Redlands Symphony Orchestra (California, USA); the ‘Orchestra da Camera’ (Birmingham, UK); the ‘Orquesta Simfònica del Vallès’ (OSV) at the Palau de la Música in Barcelona; with the Montevideo Philharmonic in Uruguay; and with several orchestras in Poland -Wroclaw Philharmonic, ‘Filharmonia Pomorska’ in Bydgoszcz; among other engagements. 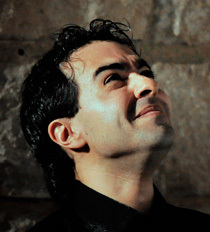 Furthermore, José often appears internationally as a solo recitalist, touring several countries (tours in Spain, Germany, Latin America, USA, UK). Very recent important recitals have included the BBVA Foundation Contemporary Music Series in Bilbao, Spain (May 2014), the Auditorio Nacional de Música in Madrid, Spain (where he was one of the nine selected pianists to perform at the International Music Day´s Beethoven monographic event, June 2013); the Palau de la Música in Barcelona (January 2013), or monographic ‘Carta Blanca’ series, dedicated to important contemporary Spanish composer Joan Guinjoan, performing the opening solo recital at the Juan March Foundation in Madrid, Spain (February 2012), and the closing chamber music recital at the National Auditorium with members of the Spanish National Orchestra (ONE) also in Madrid (March 2012). His live performances have been recorded and broadcasted by different media including TVE (Spanish TV), TV3, CNN, RNE (Spanish National Radio), Catalunya Música, and has performed live on BBC Radio 3 (In Tune), Radio Canada, ABC Classic FM Australia, WXEL (USA), among others. 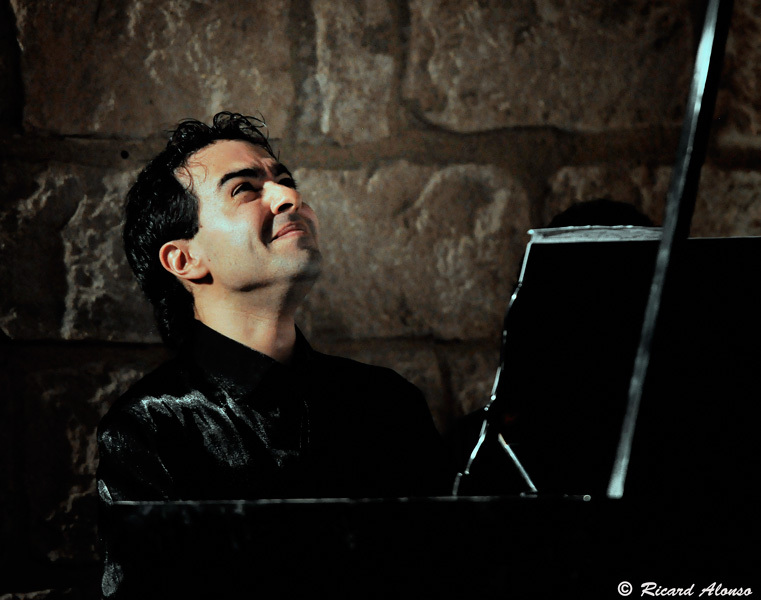 Jose maintains a close working relationship for years with renowned Spanish composer Joan Guinjoan, and is the first pianist to have recorded his complete solo piano works. The first CD was released under the Columna Música label in May 2010 and the second volume (defined by the Melómano magazine in Spain as a “milestone” and “a turning point on the appreciation of contemporary piano in our country”) was released in 2012, achieving rave international reviews including four star reviews at the prestigious Fono Forum magazine, in Germany. José is also an avid chamber musician and his collaborations include appearances with Philip Setzer (NYCM, December 2012), Ransom Wilson, Alexander Sitkovetsky, István Várdai, Dai Miyata, Peijun Xu, Timothy Cobb, among others. He has been a regular collaborator of Kronberg Academy in the United States, performing recitals and broadcasts with several string players as part of the AFKA program. Since the 2013/14 season, José is a member of the Erato Piano Trio, based in the UK, offering continuous recitals and tours. José Menor was born in Barcelona, Spain, and studied piano, composition and conducting at the ‘Conservatorio Superior Municipal de Música de Barcelona’. After that he completed his Masters degree a full-scholarship student at the Royal College of Music in London and his Artist Diploma at the Yale University School of Music, studying with Peter Frankl and Claude Frank. 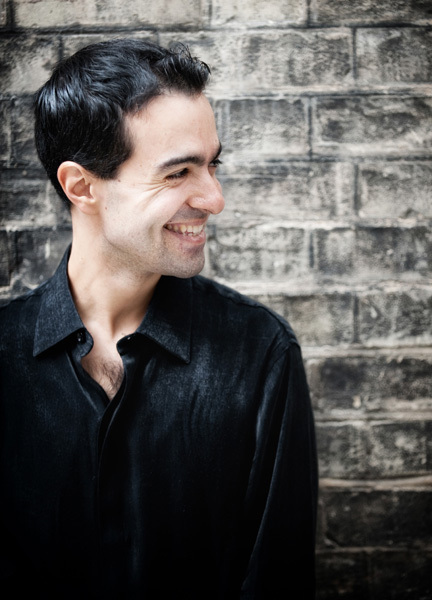 José has received further instruction at the Aspen Music Festival (working with Ann Schein), and also from renowned musicians such as Emanuel Ax, Stephen Hough, Richard Goode, Cristina Ortiz or Joaquín Achúcarro.